BONUS! 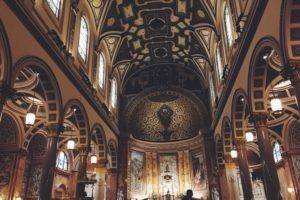 Gabrielle (Brie) Stoner contributes a third installment in her series, inspired by her trip to New York City for the American Teilhard Association’s annual meeting, in which she ties together the liturgical holiday with the dawning of a new “Church”. See Part I and Part II for more. We’ve been exploring the idea that we are in the midst of a Planetary Pentecost: the arrival of a new church that is as big as the cosmos. We’ve also been challenging the perception that rising generations lack an interest in God, but may instead be (as Teilhard describes) “unsatisfied theists”. Humanity, it seems, is ready for a larger, more inclusive, and dynamic language of God. The fact that this Trinity Sunday follows Pentecost illustrates an apt progression in our Teilhardian explorations of a Planetary Pentecost: the Trinity, representing Divinity as a dynamic and creative interdependent community, points us in the direction of how we might begin thinking of world religions in this dawn of the Second Axial Age. If the language of God doesn’t need to be thrown out but, instead, evolved, what role – if any – does religion have as we continue toward unification in this Planetary Pentecost? Do we ditch existing religious paths and form a new, global, trans-religious amalgam? Or are we being invited into a deeper understanding of the unique role of each spiritual tradition? This was precisely the topic of Ilia Delio’s talk at the American Teilhard Association gathering: Teilhard de Chardin and World Religions: Ultra Catholic or Ultra Human? In her talk, Delio addressed the question, “Did Teihard have Christian bias?” Did he insist that other religions needed to be Christianized in order to have a role in evolution? Delio maintained that Teilhard approached world religions primarily as a scientist, interested in the evolutionary role of religions. Teilhard believed that the evolutionary role of religion is to animate the “zest” for life. To that end, Teilhard insisted that we have a critical role to play: we need to be observant of where doctrine and theology have become stuck in outmoded cosmologies and are no longer energizing humanity toward a deeper union with God and with each other. In other words, we’re being asked – by Teilhard, and perhaps, the Spirit of evolutionary growth herself – not to divest ourselves of the traditions. We’re not being asked to pour all our unique religious colors into one bucket resulting in the murky pigment of the “baby blow-out” variety (if you’re a parent you know the particular glory of this hue). 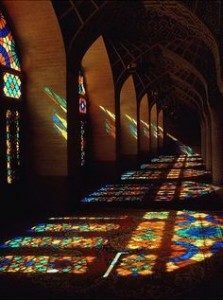 Instead, I believe we are being asked to maintain the essential pigment of each tradition, but bring them all into a greater cohesive wholeness, like that of a vibrant stained glass window. I would venture to say that each spiritual tradition carries an indispensable “color,” an irreplaceable essence that is integral to the greater whole. 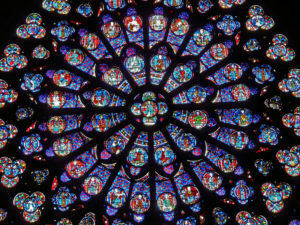 Likewise, we could view this transition into the Second Axial Age of religion as the movement out of the individual dye boxes of the traditions, and into the skilled hands of the artist who will sand off rough edges and place us in the same planetary frame, so that we can exist as a collaborative, interdependent whole: forming one vibrant, illuminating vision of God together. In other words, the key to transcending the cliquishness, strife, and violence that has characterized the worst of humanity’s religious impulse is surrender: it’s the praxis of confidence and humility that says we can be faithful stewards of our revelation while gratefully joining hands with others in theirs. This is where I think we find ourselves in Christian theology; we must introduce dynamism back into our understanding of God to keep us from being stuck in the box. Did Teilhard have a Christian bias? Undoubtedly! Could Teilhard have had a more immersive understanding of other religious traditions? Of course! But he would have had to exist in our time, or had a radically different life and, therefore, ceased being Teilhard. Let’s not forget that Teilhard was – gasp! – human, and that all of us are limited by our humanity and the constructs of our particular space/time configuration. Teilhard worked from within Christianity because this was his tradition. Enraptured with a mystical understanding of Christ-as-evolver, Teilhard leveled his theological critiques at the church and did so from a scientific lens with eye toward the trajectory of evolution. Teilhard’s heart was able to perceive beyond duality, and intuited the whole image that was wanting to emerge in our consciousness. If we want to remain faithful to Christianity’s heart and message, we too must begin the sacred labor of setting loose those aspects of the tradition that are simply incompatible with our revealed cosmos. We must be stewards of the evolutionary responsibility that philosopher Ken Wilber describes as transcending and including. After all, we really only find the depth dimension from within a tradition, not outside it, where we often wind up reinventing the wheel poorly. Kind of like digging to create an artificial pond on a beach so you can swim in water that is “cleaner”: eventually you realize that evolution has been at this a bit longer, so you toss your shovel and plunge into the ocean. What Teilhard invites us into is a non-dual dynamic understanding of this next age of religion: one in which we do not simply get together from time to time to show how tolerant we are of one another. 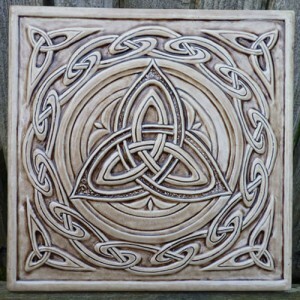 Neither are we being asked to dilute the unique gifts of each tradition by giving up on religion, or combining them into an undifferentiated amalgam. We are being invited into an era of understanding our traditions as forming a symbiotic ecosystem, recognizing that our futures are interdependent in forming a new and vibrant whole: together we must deepen human consciousness and collaborate to create lasting solutions to the social and ecological crisis of our times. For a further union, a deeper communion. Or as Teilhard would describe it, true union differentiates. The more we enter into an era of religious communion and collaboration, the more the essential pigment of each of our traditions will be distilled, highlighted, and become useful to the evolution of our human family. Is this the Planetary Pentecost? I believe so. Just as in the early church, the winds of change are afoot, and just like the biblical account, the “birth” of this new church makes us all midwives: we must each seek out how we are being asked to mediate this change in our lives, and as participants in the whole system. We must be still enough to recognize the wisdom alive in our traditions, and “still moving” in the humility that recognizes the work ahead of refining, clarifying, and polishing each unique gift in our lineages. Only then, as we move from the millennia of dye-taking and into our new window “setting”, can we move into another “intensity” and become something entirely new together: a riot of brilliant colors illuminated by the fiery heart of God. Pierre Teilhard de Chardin, Christianity and Evolution, trans. René Hague (New York, NY: Harcourt, 1971), 80. 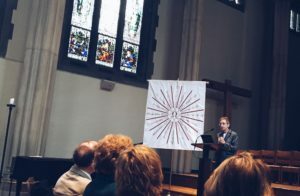 Hot on the heels of Pentecost and the American Teilhard Association’s annual meeting, Gabrielle (Brie) Stoner ties together the liturgical holiday with the dawning of a new “Church”. This is the second installment in her two-part series (see Part I for more). Being the good Teilhard-geek that I am, and since I found myself near Teilhard’s NYC stomping grounds this past weekend, I figured it would be a momentous experience for me to celebrate communion and Pentecost at one of the churches where he was in residence, St. Ignatius of Loyola on Park Avenue. The church building did not disappoint, and housed a clearly seasoned choir taking on some stunning Gregorian chant to boot. I geared myself up for what I expected would be a totally Teilhardian Pentecost celebration. Shortly after faking being Catholic enough to take communion (which included a nearly empty chalice resulting in a rather difficult time swallowing the wafer), the service concluded. As beautiful as the music and building were, as I walked down the steps of the church, I felt somewhat a sense of relief and glad to be back in the fresh air, cold as it was. Teilhard may have once been in residence at St. Ignatius, but his essence was clearly not hanging around inside those marbled walls. I decided to cut through Central Park, figuring that Teilhard might have also once taken these very paths, wrapping my jean jacket tightly around me and bracing myself against the wind. I wondered what it would be like to walk alongside Teilhard and talk to him about all the thoughts that were swirling around inside me as I walked: the millennial search for language of a God we can believe in, the sad and rather depressing homily, and how I was still trying to swallow bits of that stubborn wafer down…when suddenly I heard sirens up ahead. From a distance I also started to make out the sounds of chanted phrases, music, and the sound of people—LOTS AND LOTS of people. Finally, as I rounded the bend, I saw them in the distance: it was hundreds and hundreds of New Yorkers walking in the AIDS Walk. The closer I got, the louder the roar of human voices became, like the thunderous sound of a waterfall. I picked out English, Spanish, French, and possibly Mandarin—and those were just the voices that happened to be walking by me. I saw different ages, ethnicities, races, and genders: people singing, laughing, chanting, and talking. Some quietly holding pictures of loved ones lost from AIDS, and some who were celebrating their departed loved one’s lives by dancing their way through the street, and likely some whose lives may not have been directly affected by AIDS but who were walking in solidarity all the same. Memories wafted in of my own Spanish “uncles” who died of AIDS, and how my parents insisted on bringing us to the hospitals to be with them, defying the hospitals which, in that time, prohibited children from visiting AIDS patients. I remembered being little enough of to be carried on the shoulders of another “uncle” through an AIDS walk in Madrid, and how just a few short years later he, too, lost his fight with the disease. I had no idea that there was an AIDS walk that day, but the poignancy of it being held on Pentecost was not lost on me. There may not have been literal tongues of fire above the folks that were in the procession before me but, I promise you, I got swept up in the warmth and light that was cascading off them. This is the Pentecost that is spreading across the planet: people gathered outside church buildings together in solidarity and action, in remembrance and a shared commitment toward a more loving present and a better future. Men, women, gay, straight, queer, transgender, rich, poor, legal immigrants or not…the vibrancy and beauty of the Divine heart seemed to shine diaphanously through every face, every uniqueness, every “difference”, forming a vibrant whole out of all of the many parts. We need language for the God that is big enough for this church, I thought to myself. “Veni Sancte Espiritus,” I said quietly in response to Teilhard and the happy crowd before me. Pierre Teilhard de Chardin, The Future of Man, p.268. 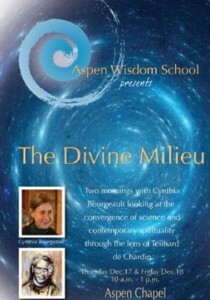 To read more of Brie’s millennial perspective on Teilhard, check out her blog www.becomingultrahuman.com. 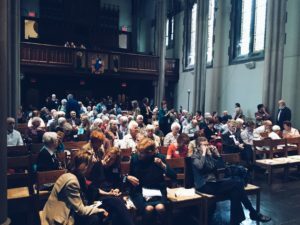 Hot on the heels of Pentecost and the American Teilhard Association’s annual meeting, Gabrielle (Brie) Stoner ties together the liturgical holiday with the dawning of a new “Church”. This past weekend, I made a brief escapade to the Big Apple for the American Teilhard Association annual meeting featuring guest speaker, Ilia Delio. 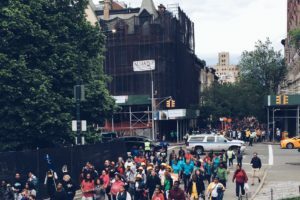 The brief trip was as crammed with experiences as Manhattan is crammed with people, and Pentecost Sunday wound up being an unexpected culmination of the three days. As many of you know, Pentecost is the celebration in the liturgical Christian calendar of the arrival of the Holy Spirit ten days after the ascension of Jesus, and celebrates the “birthday” of the church. According to the gospels, the Holy Spirit came down in the form of tongues of fire that rested above each of the disciples and, in turn, gave them the capacity to speak in different “tongues”. People who heard them started gathering and, as they heard all these languages being spoken, it created a lot of confusion (like it would), and some even chalked up these “fiery fluent crazies” as being drunk (a most rational conclusion). The traditional phrase that you’ll often hear on Pentecost is “Veni Sancte Spiritus” which translates as “Come Holy Spirit,” an ancient invocation of the “Bring it on!” variety. While I have been following the liturgical calendar a bit more closely this year, I wasn’t thinking particularly about the unique correlation between this special day and the American Teilhard Association gathering. During the question and answer time following Ilia Delio’s address, however, someone raised the question about why young people don’t seem interested in the church, and what that might mean evolutionarily for the future of world religions. Ilia gave a response in which she criticized (as Teilhard did) the outdated theology and doctrine that is simply becoming incompatible with the future generations of humanity. Mary Evelyn Tucker (a board member of the ATA and one of the hosts of the event) jumped in to add that this is why she, Mary Evelyn, believed it was important to just “take the God language out” in projects such as her “The Journey of the Universe” project to make it more appealing to younger generations. Rather than throwing out “God” with the dirty bathwater of what no longer serves humanity in religion, it is our task to transcend and evolve the language of a “God who is too insignificant for us to worship”. Our ideas must expand and deepen in order touch upon the mystical heart that so enraptured and informed Teilhard: the fiery center of the universe he called the heart of God, the beating personal center of all traditions and whose fabric we shape with our very lives. I happen to think that many of us in the Millennial cohort believe in God, just not of the white-bearded-up-in-the-sky variety. What we are leaving behind is tribal exclusionary religion and instead intuiting our way forward into a faith that believes whomever God is, God has to be the dynamism and sum of all relationships in this great system in the process of evolution. Whomever God is, God has to be intimately and inextricably shining through every facet of this incredible material world. And whatever that faith is, it has to include everyone, everywhere, and must offer us solutions of the salvation of the planet NOW, not later. Some scholars describe this as the birth of Second Axial age religion and, unsurprisingly, this new vision and language of God is spreading like wildfire and is creating a lot of confusion for those that prefer the older language of God. Fire, new language, translation issues, confusion. Now where have we heard that before? Welcome to the Planetary Pentecost and the birth of a church as big as the cosmos itself. Veni Sancte Espiritus. Bring it on. Pierre Teilhard de Chardin, Activation of Energy, p.239-240. This piece was originally posted on Christopher Page’s blog, In A Spacious Place. Christopher was interviewed by a Year 11 Australian student in Brisbane. Her class was investigating contemplation as the highest expression of intellectual and contemplative life, identifying the intra-religious connections of contemplation between three religious traditions. Recently I received an email from a student in a Study of Religion class asking me “to answer some questions about contemplation and the Christian faith.” She may have got a little more than she bargained for as my reply to her questions exceeds 1,000 words. – What is contemplation to Christianity? It is important to be clear about how we are using words. The noun “contemplation” is not synonymous with “contemplative practice”. one form of silent spiritual practice in which the practitioner intends to open to an awareness of the presence and action of God at work in all of life. In these two senses, “contemplation” in Christianity is used to refer to the inner path of faith and practice in which a person of faith seeks to open more deeply to an awareness of the Divine at the heart of all creation and to surrender to God. – Is contemplation/contemplative practice the best way to connect to God as the suprasensuous (above/inaccessible to the physical senses)? Why/why not? There is no “best way to connect to God”. In fact there is no way “to connect to God.” All human beings are connected to God. There is no way to be alive and NOT be connected to God. God is the breath of life, the well-spring of all being, apart from Whom there is no life. The issue is NOT “connection”; the issue is awareness. The question is not, “Are we connected to God?” but “Are we conscious of God, open to God’s work in our lives, and responsive to God’s Spirit?” All spiritual practice aims to enable the practitioner to open more deeply to the presence and action of God and to live more responsively to the flow of love that is the fundamental life-force of the universe. Every person must find the path that works best for them to help them become more sensitive to the secret hidden inner stirrings of the Spirit. Should it seem that the way of prayer I have described in this book is unsuited to you spiritually or temperamentally, feel perfectly free to leave it aside and with wise counsel seek another in full confidence. This is wise and gracious advice. Every person needs to be encouraged to find the way that resonates with their lives to deepen their consciousness of God. – What are the spiritual benefits of actively participating in contemplative practices? It is important to be cautious in speaking about “spiritual benefits”. Spiritual practice is NOT just one more form of self-help discipline. The aim is NOT to make us better people. The aim is to open to an awareness of the presence and action of God in all of life. Contemplative practice seeks to help the practitioner become more sensitive to the subtle moving of God in all of life. It aims to support us in surrendering more deeply to the energy flow of life and loosening our resistance to the realities of life as they are. With this caution in mind, it is likely that following a spiritual path that genuinely nurtures surrender and acceptance will deepen a sense of peace and groundedness in our lives. Faithfully following a life of spiritual practice will probably make us more compassionate, more open, more flexible, and help us to live more gently in this world. We will likely find ourselves less bound to external circumstances, less dependent upon the feedback of other people as a source of motivation for our lives, and less anxious and driven. We will probably find that we are able to live more freely independent of the constant driving power of likes and dislikes. and serve only him'” (Luke 4:8). This means that God is the only goal of spiritual practice. The orientation of spiritual practice is letting go, not getting somewhere. We do not aim at peace, harmony, a sense of well-being; we aim at God. These qualities for which we long may follow, but they are NOT the goal. The goal is to surrender to God and to open more fully to God. – How often should someone participate in contemplative practices? One of the goals of spiritual practice is to move beyond “should.” There are no “shoulds” in spiritual practice. Every person’s life is different. We are all at different places in our spiritual journey. The Spirit of God works in every person’s life in unique ways that are particularly suited to that person. God is a great respecter of persons and honours where each person is in the journey of life. We need to be deeply aware of our personal life circumstances and to respect the realities of our lives. It is not realistic to ask a young parent with small children to spend twenty minutes twice a day in silent prayer. A retired person who lives alone and has a relatively orderly life may have the freedom and space to give more time to intentional spiritual practices than a person who is in the early stages of establishing themselves in the world. Life has seasons. There are some seasons in which some practices are appropriate and feasible. There are other seasons when such practices are not possible. We each need to open to the guidance of God’s Spirit and find the practice that is suitable for our lives in the season in which we are living. Contemplative practices are always gentle and respectful. – How does Centering Prayer connect to contemplation? Centering Prayer is one particular form of contemplative prayer practice. It aims to develop in the practitioner a greater ability to surrender to the presence and action of God at work in all of life. – How do you know the right time to do contemplative practices, and how do you prepare yourself for them? See comments above on “should”. There is no “right time” to do any practice. The only goal is to find a life pattern that works for the particular person. The spiritual life is guided and governed by the Spirit at work in the person’s life. There is no pattern that fits every person. We must live in response to the specific working and call of God’s Spirit in our lives. Having said all that, it is important to note that setting aside a specific time and place for one’s practice does help to develop regularity and discipline. We are more likely to develop healthy life-giving spiritual habits if we regularly sit in meditation and reinforce this intention by showing up consistently in the same place at the same time every day. We humans are embodied spiritual beings; so our physical surroundings, time of day, and body patterns will help or hinder our spiritual practice. It can also be a substantial support in meditation practice to connect with a community of people who regularly sit together. The exercise of meditation in a group deepens the experience of silence and is a great encouragement to regular practice. All of life is preparation for contemplative practice and all contemplative practices are preparation for life. Spiritual life is a sacred circle into which we are drawn when our hearts are open. – Why is it important to understand our spirituality? It is not “important to understand our spirituality”. When we enter the realm of spirituality, we are entering the realm of mystery. Spiritual practice draws us to the limits of the human capacity to understand. In spiritual practice we stand on the edge of the great deep darkness of unknowing that resides at the heart of all existence. Spiritual practice may lead to greater wisdom; but it is not a path to understanding in any rational, cognitive sense. In spiritual practice we intend to open to human faculties that are deeper than the intellectual and emotional functions we use to navigate a great deal of life. This is what Jesus was speaking about when he said, “whenever you pray, go into your room and shut the door and pray to your Father who is in secret; and your Father who sees in secret will reward you” (Matthew 6:6). We go into the “room” of the human heart when we step aside for a moment from the distractions and preoccupations of daily life and open to an awareness of the deeper moving of God’s Spirit. This awareness comes not primarily at a cognitive or emotional level. It comes “in secret,” in a subtle hidden realm that, while including thought and feeling, transcends both thought and feeling. Spiritual life aims to open to and be sensitive to this subtle hidden realm that is the true nature of all human existence. This post was originally published at Parabola.org on January 29, 2015. It is amazing that something so tiny could pack such a punch. The Gospel of Mary Magdalene is tantalizingly brief—and, frustratingly, two major sections are missing, reducing the original seventeen manuscript pages by more than half. Yet what remains is more than enough to radically overturn our traditional assumptions about the origins of Christianity. 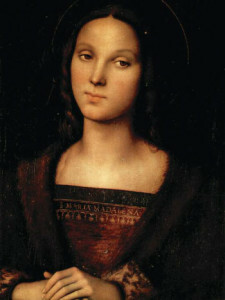 In four tightly written dialogues, the gospel delivers powerful new revelations on the nature of Jesus’ teachings, the qualifications for apostleship, Mary Magdalene’s clear preeminence among the disciples, and the processes already at work in the early church that would eventually lead to her marginalization. Since it also contains a unique glimpse into the actual metaphysics on which Jesus based his teachings, this is a foundational text not only for devotees of Mary Magdalene but for all students of sacred wisdom. 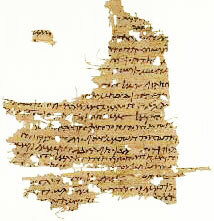 The manuscript was not recovered among the Nag Hammadi trove. It first came to light in 1896, nearly half a century before the Nag Hammadi find, when it was discovered by a German collector in an antiquities market in Cairo. But, due to a series of lengthy publication delays, the first German scholarly edition did not appear until 1955. It would be twenty years longer before an English version appeared and still another twenty years before popular editions became available. For all practical purposes, therefore, the Gospel of Mary Magdalene entered public awareness at the same time as the Nag Hammadi material, and since they clearly belong to the same spiritual stream, it makes sense to consider them together. Particularly with the Gospel of Thomas, there are striking overlaps in both content and theology. The manuscript itself is a fifth-century Coptic (i.e., Egyptian) version of what had almost certainly been an earlier Greek or even Syrian text.1 In 1917, and then in 1938, two Greek fragments dating from the third century were indeed discovered, confirming the antiquity of the original text and the esteem in which it was held by the earliest Christian communities (only important manuscripts are recopied)…Karen King assigns the original text to the first half of the second century. If her argument is correct, this would place the Gospel of Mary Magdalene within the earliest strata of Christian writings, roughly contemporaneous with the Gospel of John. Unfortunately, the Greek fragments did not yield any new material to fill the holes in the Coptic version; barring some unforeseen miracle, what was written on those ten missing manuscript pages (pages 1–6 and 11–14) is lost to us forever. But, because of the thematic and structural tightness of the remaining material, the second of these two holes lends itself easily to imaginative recon­struction and, depending on how closely one assumes that this text echoes the Gospel of Thomas, the first six pages of Jesus’ introductory metaphysical dis­course can also be fairly well construed. 1. Jesus’ final teachings and instruc­tions to his disciples (Manuscript pages 7-9). 2. Mary Magdalene’s words of encouragement to the disciples (page 9). 4. The dispute among the disciples and its resolution; Levi’s charge and words of dismissal (pages 17-19). “This is also the reason for sickness and death, because you embrace what deceives you. Consider these matters, then, with your spiritual intellect. Having said this, he departed. As we enter this dialogue, we are literally joining a conversation in midstream. From textual clues in this dialogue and the one following, it appears that the conversation takes place in temporal history sometime between Jesus’ resurrection and ascension—the Gospel of Mary Magdalene’s version of the “upper room” appearances in John and Luke.5 In this energy-charged encounter, Jesus gathers his students around him once again to reflect on the meaning of his passage through death and to leave them final instructions and encouragement before his departure from physical form. The teaching style is clearly sohbet: “spiritual conversation” between a master and his students. This is a classic Near Eastern teaching style that even today is a mainstay in many schools of Sufism. In contrast to the “Socratic” method more familiar to those of us in the West, sohbet is not merely intellectual discourse, but rather it is a deep meeting of hearts and minds that also includes a direct energy transmission. For those familiar with the art form, the context of this first dialogue is unmistakable and speaks once again to this gospel’s probable Semitic origins. The remedy Jesus sets forth for this cosmic malaise is to “find contentment at the level of the heart…in the presence of the Image of your true nature.” The key to deciphering this all-important instruc­tion lies in recognizing that the word “heart” is being used here in a highly specific way. In the wisdom traditions of the Near East, the heart is not the seat of one’s personal emotional life, but an organ of spiritual perception. I have spoken about this extensively…so I will be brief here, but the essential point is that the heart is primarily an instrument of sight—or insight, as the case may be (“Blessed are the pure in heart, for they shall see God”). Its purpose is to navigate along the vertical axis and stay in alignment with “the Image of one’s true nature.” Itself a vibrant resonant field, it functions like a homing beacon between the realms; and when it is strong and clear, it creates a synchronous resonance between them. 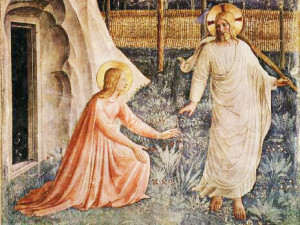 “Those with ears, let them hear this,” Jesus continues—his characteristic “heads-up.” But as we remember our primary topic of interest,…Mary Magdalene, his warning is particularly well-timed: because how well you are able to grasp his teaching is exactly how well you will be able to grasp the basis of their relationship. To say that their hearts are intertwined is not at all to speak sentimentally. Rather, it is to affirm that Mary Magdalene has fully understood this principle of spiritual alignment through the heart and has been able to personally corroborate it within herself. This will directly explain her ability to stay present when he appears to her in visions and her ability to go about her earthly business with the serene confidence of one whose life is always flowing within that greater life. How would I characterize this teaching of Jesus? It definitely belongs to the wider stream of sophia perennis in its acknow­ledg­ment of many and more subtle realms of being whose energies impact our own—a concept traditionally known as “the great chain of being.”9 But it parts company from classic Gnosticism (and even classic sophia perennis) by refusing to claim that this world is illusion, or fall, or error; or that its density places it at the tail end of the chain. We are not in Plato’s cave. Rather, this world is good, worthy, and fully inhabited by the divine energies—“the Good comes among you”—so long as it stays united with its root. The blending of incarnational and Platonic elements is a distinctive mix, which I believe is Jesus’ original contribution to the metaphysics of the West. It presents itself as a profoundly incarnational, warm-hearted, and hopeful path, where the realms support and interpenetrate each other and divine fullness is accessed simply by keeping the heart in natural alignment with its invisible prototype. Unfortu­nately, his teaching went right over the heads of nearly all his followers, both then and now. The subtlety of Jesus’ metaphysics remains largely unknown to Christians—and sadly so, for it is the missing ingredient that makes his path comprehensible and doable. It is no secret that Jesus’ teachings resonate with an extraordinary trust in the divine abundance and generosity, and Christians are asked to emulate that trust. But to try to do so without seeing what it is founded on is a bit like asking an elephant to fly, and Christians find themselves frequently caught in the gap between the incredibly high spiritual ideals of this path and their own ability to carry them out. In reality, the secret is simple. When the heart is aligned with its eternal image, abundance cascades forth from that place of origin, infinitely more powerful than the scarcity and constriction of this world. It is not a matter of believing in flying elephants so much as of purifying the heart. In the final lines of his discourse Jesus reinforces this teaching yet again. 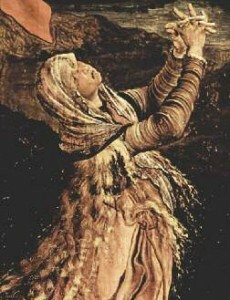 His parting instruction to his disciples opens with the plea that they remain present within themselves rather than chasing after mirages in the outer world, for “the Son of Humanity already exists within you…and those who seek him there will find him.”10 To remain in continuous union—the kind that Mary Magdalene will shortly demonstrate—is a matter of releasing the outer clamor and tuning in again and again through the homing beacon of the heart. Then, as if knowing already that this is somehow beyond them, he adds a final practical caution: “Do not lay down any rules beyond what I have given you, lest you be dominated by them.” From a textual criticism point of view, as Karen King rightly observes, this instruction situates the Gospel of Mary Magdalene at an early stage in the history of Christianity, when the contours of externally imposed hierarchy are just beginning to become visible in the dawning light of a brave new Christian world. From an artistic standpoint, it moves us directly into the second dialogue while at the same time setting the stage for the gospel’s surprising and decisive conclusion. As Mary said these things their hearts opened toward the Good and they began to discuss the meaning of the Savior’s words. In this second and crucial dialogue, the predictable happens. The subtlety of Jesus’ teaching is lost on his disciples, who return quickly to their conviction that Jesus is gone and that they are in extreme danger. They have completely missed the point of what he has just said. In fact, her actual words are, “He has prepared us so that we might become fully human.” “To become fully human” is a modern translation of the words “to become an anthropos,” a completed human being. Both here and in the Gospel of Thomas this notion is at the very heart of Jesus’ vision of transformation. Obviously, there is far more at stake here than simply integrating masculine and feminine principles within one’s finite humanity. The integration takes place on a cosmic scale and is accomplished through learning how to anchor one’s being in that underlying unitive ground: that place of oneness before the opposites arise. Some traditions would call this the “causal level.”11 However one defines it, its origin is on the vertical axis, in a realm and mode of perception far more subtle than our own. It has less to do with what one sees than with how one sees; it amounts to a fundamental shift in perception. When this level is attained, either by sudden spiritual insight or by a long, tough slog through the mine fields of ego, a person becomes “a single one” (in Aramaic, ihidaya: one of the earliest titles applied to Jesus): an enlightened or “fully human” being. The union of opposites Jesus is speaking of really pertains to the union of the finite and infinite within oneself, or the bringing together of the vertical axis with the horizontal so that there is “one Heart, one Being, one Will, one God, all in all.” When this happens, the world does not pass away, but one is able to live in it as master, re-creating its external forms (“making one image supersede another”) out of the infinite generativity of the One. This short dialogue is the thematic epicenter of the Gospel of Mary Magdalene: the apostolic moment par excellence. “Apostle is as apostle does,” one might say, and it is clear that in both her words and her deeds—her ability to compre­hend, to calm, to convey blessing—Mary Magdalene has just proven herself an apostle: not just “first among the apostles,” but in fact, the only one of them to authentically merit the title. 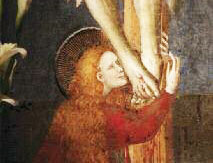 1 For more on this point, see Karen King, The Gospel of Mary of Magdala (Santa Rosa, CA: Polebridge Press, 2003), 184. 4 Lynn Bauman, Ward Bauman, and Cynthia Bourgeault, The Luminous Gospels (Telephone, TX: Praxis Institute Publishing, 2008). 5 These appearances take place immediately after the resurrection and are recorded in John 20:19–29 and Luke 24:36–43. 6 In this idea of the “interwoven” material world unraveling at the end of its term into its elemental components, there are fascinating resonances with the teachings of Empedocles and Parmenides as laid out by Peter Kingsley in his remarkable book Reality (Inverness, Calif.: Golden Sufi Center, 2005). Kingsley proposes a radical revisioning of the origins of Western philosophy as lying not in intellectual speculation, but rather in the sacred practices of a long wisdom lineage of shamanic healing. There are distinctive overlaps between this tradition and the teachings and spiritual practices of Jesus…. 7 Jean-Yves Leloup perceptively paraphrases: “when you act according to the habits of your corrupted nature” in his The Gospel of Mary Magdalene (Rochester, VT: Inner Traditions, 2002), 25. 8 Jacob Boehme, Confessions (Kila, MT: Kessinger, n.d.), 41. 9 For more on the great chain of being, see Ken Wilber’s voluminous writings, particularly The Eye of the Spirit (Boston, MA: Shambhala Publications, 1997), 39–40. 10 This instruction is repeated almost verbatim in the Gospel of Thomas, logion 3. See Bauman, The Gospel of Thomas, 10. 11 That is why one is able to make “one image supersede another”: because one has accessed the level from which the images originally arise…. Unless otherwise noted, all major gospel citations are from The Christian Community Bible (Liguori, MO: Liguori Publications/Claretian Publications, 1995). Short gospel citations and all epistle and Old Testament citations are from the New Revised Standard Version (NRSV). Adapted from The Meaning of Mary Magdalene by Cynthia Bourgeault, ©2010 by Cynthia Bourgeault. Reprinted by arrangement with Shambhala Publications, Inc., Boston, MA. www.shambhala.com. 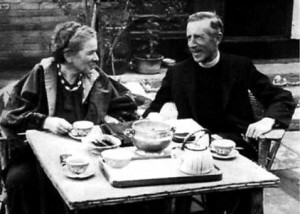 Almost exactly this time one year ago, I launched my “Teilhard Challenge,” inviting as many of you as felt so moved to join me in diving into the magnificent, challenging writings of Teilhard de Chardin. I know that many of you have taken the plunge, and the Teilhard buzz out on the planet is palpable and steadily growing. Thank you! This comes to give you a short “year-end report” on my own work here, and a heads-up about what’s on the docket for 2016. I did manage to chew my way through most of the Teilhard canon this past year: beginning with a fairly quick read, followed by a more detailed immersion once my inner dowsing rod struck water. That turned out to be with The Human Phenomenon, which is clearly Teilhard’s master work and is now available in a magisterial new translation by Sarah Appleton-Weber. I was also lucky enough to get hold of French versions of four or five of his major works. If you can read French even a bit, I’d highly recommend you follow this strategy as well. Even if you book-end the French translation with the English one, Teilhard is simply…well…French! And his thought is somehow much more lucid and compelling in his mother tongue. Evolution (understood as cosmogenesis) is the non-negotiable baseline for all intellectual, scientific, and spiritual discourse. 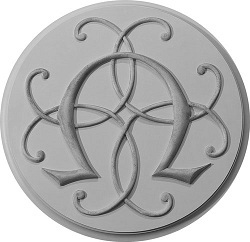 This Omega Point is identical with the mystical/cosmic Christ. This structure will form the backbone for the series of Teilhard Wisdom Schools that will shortly start to run in 2016: in New Zealand; Santa Barbara; North Carolina; Washington State; Stonington, ME (stay tuned! ); and British Columbia, respectively. There will also be a more intimate and reflectively-oriented retreat which I’ll co-lead with Matthew Wright at his home community, Holy Cross Abbey in West Park, NY, on April 7-10. April 10 will mark the anniversary of Teilhard’s actual death (on Easter Sunday, 1955), and since Holy Cross Abbey is directly across the Hudson from Teilhard’s burial ground in Hyde Park, we will hope to include a short pilgrimage to his grave site in our work together that weekend. Longer range, I’m not sure what’s in store: probably a book, but its focus is still “under development” as I sense my way into the deeper feeling ground of my attraction to this singular and deeply needed Christian mystical teacher and teaching. I continue to feel that there is work here that needs to be done (my usual job description of making connections!) for this vision, despite or even because of its significant blind spots and interspiritual “groaners” – is still by far the best thing going – certainly in the Christian tradition – for a roadmap that will allow us to comprehend the “depth and breadth and length and height” of the mystical tradition we stand in, and embrace the future with compassion, courage, and spiritual intelligence. It’s the roadmap we sorely need to get the caravan moving forward again. I am not an unmitigated devotee. There are, indeed, significant liabilities to his work, particularly in terms of the ongoing dialogue with Evolutionary Spirituality (à la Ken Wilber and the Integral Community) and the InterSpiritual community. The biggest weakness, as far as I can see, is Teilhard’s inability to recognize levels of consciousness, and to realize that the “self-reflexive” consciousness that he saw as the new evolutionary turning point is itself but a stage (and a relatively immature one at that) in the deepening evolution of consciousness itself. Much of his most outdated and polarizing thinking is trapped firmly within the boundaries of the egoic operating system and its peculiarly dualistic way of structuring the world, and he simply doesn’t see the squirrel cage he is running inside. But that can all be recalibrated once the source of the blind spot is identified, and I firmly believe that the Teilhard canon will survive the transposition into nondual categories of thought and actually thrive there. I also have to say that the most illuminating and poignant part of the reading list for this year was the time spent plowing through the Letters between Teilhard and Lucile Swan, his soulmate and dakini during the long years of exile in China. A heart-wrenching story, which somehow conveys the “within” of Teilhard’s voyage in a way even more powerful than the “without” of his polished philosophical studies. Anyway, that’s the progress report for now. Do stay tuned – and keep on reading! As Advent draws to a close, Heather Page, President of The Contemplative Society, reminds us of how love was and is made manifest. Also, a special announcement regarding Cynthia Bourgeault’s plans to visit Vancouver Island in 2016. 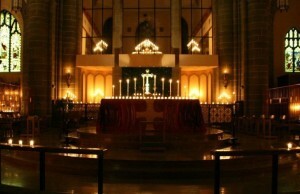 As we approach the final days of Advent and move into Christmas celebrations, I am filled with gratitude for those who support The Contemplative Society in a variety of ways: from our faithful volunteers to those who offer steady financial support, as well as those who bear witness to the mission of the society through their steady contemplative practice. Although based in British Columbia, Canada, TCS is a global community offering and receiving support from contemplatives throughout the world. I am also grateful to Cynthia Bourgeault, our principal teacher and advisor, who continues to teach and model incarnational Wisdom to a growing audience worldwide. Through Wisdom Schools, retreats, workshops, books, on-line e-courses, and audio and video recordings, this teaching continues to reach people hungry to hear and practice the ancient wisdom which is at the heart of early Christian practice but often forgotten in our culture today. We are delighted that Cynthia has agreed to be with us on Vancouver Island, September 19-24, 2016, when she will teach on the writings of Teilhard de Chardin. Cynthia says she aims to make Teilhard’s writings “less dense and see how he is carried through in liturgy and practice…” We will begin taking registrations in the spring. Be sure your membership is up-to-date so you will be the first to hear when registration opens. Cynthia’s retreats fill quickly! Could it be that this earthly realm, not in spite of, but because of, its very density and jagged edges, offers precisely the conditions for the expression of certain aspects of divine love that could become real in no other way? 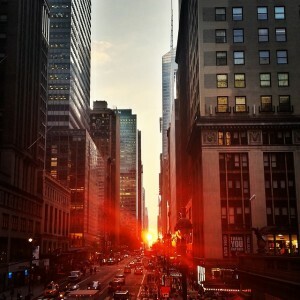 This world does indeed show forth what love is like in a particularly intense and costly way. But when we look at this process more deeply, we can see that those sharp edges we experience as constriction at the same time call forth some of the most exquisite dimensions of love, which require the condition of finitude in order to make sense – qualities such as steadfastness, tenderness, commitment, forbearance, fidelity, and forgiveness. These mature and subtle flavors of love have no real context in a realm where there are no edges, no boundaries, where all just flows. But when you run up against the hard edge, and have to stand true to love anyway, what emerges is a most precious taste of pure divine love. There, God has spoken his most intimate name. …Our jagged and hard-edged earth plane is the realm in which this mercy is the most deeply, excruciatingly, and beautifully released. That’s our business down here. That’s what we’re here for. My prayer is that we might be given courage, patience and great humility so “that we may learn to bear the beams of love”. May we be conscious of how this love manifests in the days ahead. Cynthia Bourgeault, OSB Cam oblate reflects on how Fr. Bruno Barnhart (April 10, 1931 to November 28, 2015) touched her life after news of his passing on the first day of Advent. Fr. Bruno Barnhart, former prior of New Camaldoli Monastery, mystic, hermit, and my friend and spiritual father for more than thirty years, is now officially on the other side. He chose the auspicious occasion of the eve of Advent for his transition to the infinite. I imagine him now happily reunited with his old friends Beatrice Bruteau, Raimon Panikkar, and Bede Griffiths, who are no doubt already showing him the ropes in his new celestial habitat. It does seem that Bruno died a conscious death. When the physical body could no longer do what was needed to sustain his hermit independence, he simply let it go in slow and gentle increments. Over the course of the fall, he slowly dwindled until his monastic brethren finally carted him off to a hospital for emergency re-stabilization, and then to a nursing care facility for appetite enhancement and physical therapy. When neither did any good, they brought him back to hospice care at his beloved New Camaldoli, no doubt expecting to hunker down for at least a few more weeks over Christmas for final farewells and blessings. But Bruno evidently had other plans. The very next morning he embarked upon his transition and, just before midnight, his consummatum est was achieved. He departed this earth plane, surrounded by his monastic brethren, to greet the dawn of Advent in his new and infinite corporeity. As always, his timing was exquisite. 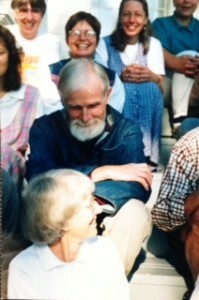 He was there as well to help me pick up the shattered pieces of my life when Rafe died in Advent 1995, and to begin to shape my grief into a life’s path of teaching and writing. He read all my books and contributed endorsements for a few of them. 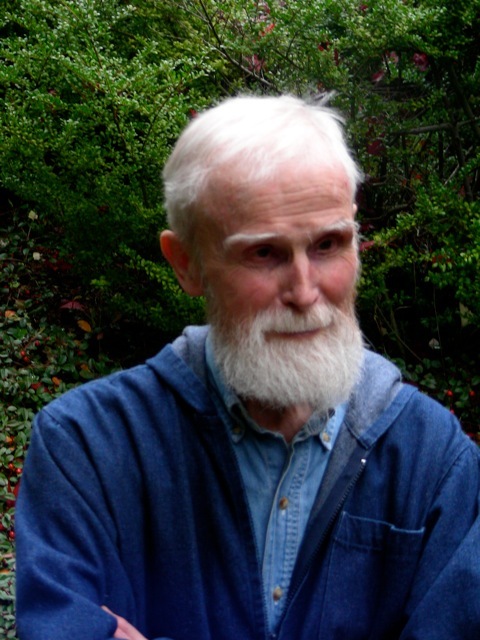 And he championed my move to British Columbia and offered himself as retreat master at one of our first Contemplative Society retreats on Salt Spring Island in 2001 and periodically thereafter. Many of our British Columbia retreatants became his personal students as well, and several became oblates of the monastery. He blazed a brilliant path for us all, and the bonds he forged have proved to be strong and enduring. Bruno did not write that prolifically – his continuing monastic duties and voracious correspondence and spiritual direction network kept his waking hours pretty well occupied, and his nights disappeared into luminous depths of solitary prayer. But what he did write is extraordinary, books that you return to again and again to refresh your soul and renew your faith in truth. More than any other spiritual writer I know, he is the one who has most perfectly integrated the distinctly different Western and Eastern understandings of non-duality. As a personal friend of Bede Griffiths and Henri LeSaux (Abishiktananda), Bruno understood deeply the Advaitic non-duality of the East and was powerfully attracted to it. 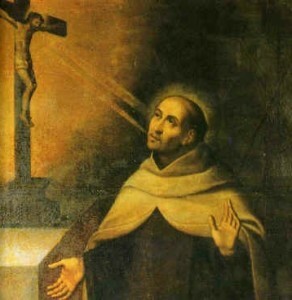 But his deep grounding in Christianity’s incarnational epicenter made him unwilling to conflate Christian Wisdom with the basically monistic traditions of Sophia Perennis, or “perennial wisdom.” As he wrote perceptively in his The Future of Wisdom (p. 186), “The wisdom of Christianity does not find itself quite at home among the sapiential traditions of the world.” In contrast to that great upward thrust of the perennial philosophy, “the unitive wisdom that has become manifest in Christ disappears into – more boldly we might say, metamorphoses into – an immanent historical dynamism that transforms all of created reality.” Even more boldly, he suggests that our modern Western world in all its sprawling untidiness is not a deviation from the path of Christ but its legitimate and in fact inevitable trajectory. His innate grasp of the dynamism implicit in incarnation allowed him to embrace all those things which classic sapiential monism rejects: modernity, Teilhard, technology, secularity. Better than anyone I know, he weaves together a robust sense of incarnational dynamism with a piercingly brilliant grasp of non-dual consciousness to blaze the trail toward an authentic Christian non-duality. I suspect he will be increasingly discovered and revered as our planet blazes toward its imminent axial leap. For the meantime, he is one of our own best kept and most cherished contemplative secrets. I remember him as well for his wry, fiv-ish humor (which featured Calvin and Hobbes right up there alongside John of the Cross and Meister Eckhart as attained spiritual masters), his gentle art of understatement, and his piercing but sly capacity to see where I was at any point in time no matter how hard I tried to hide from myself. “There’s something in a person that knows when they’re not free…” he would simply comment, leaving me to find my own way out of the corner I’d painted myself into. And yes, those sermons of his that packed the monastery church with everyone literally straining on the edges of their benches to catch those bursts of pure radiant brilliance mumbled rapid-fire, and almost always, with his hands directly in front of his mouth. I hope the amplification system is better in heaven. Thank you, beloved teacher, and blessings on the next phase of your unfolding. The cosmos is richer for your sojourn here.